I love before and after photos. 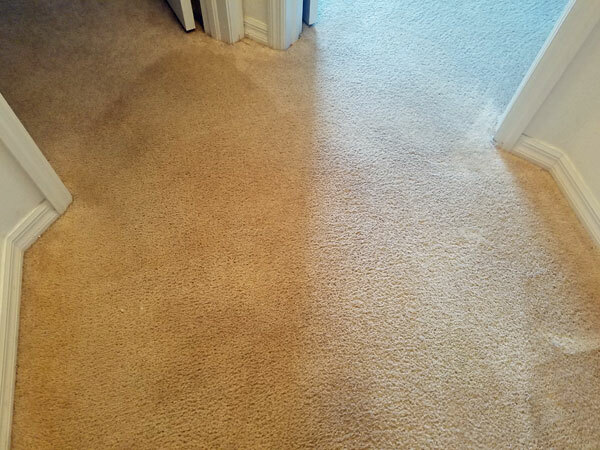 There is no better way to show the dramatic difference a good carpet cleaning can make to any room. Whether you're dealing with food, pet, or some other stain in your carpet Tampa FL has access to an amazing carpet stain removal service, Chem-Dry of Tampa. Now don't let the name fool you. The "Chem" in Chem-Dry is short for "Chemistry" not "Chemical". You might think that there's no difference between the two words, but there is. The big difference is that even though we use chemistry to create our amazing carpet stain removal system, its not made up of harsh or toxic chemicals. The majority of our cleaning solutions are green certified. That means they are safe to apply to the surfaces in your home where your family spends most of their time. Chem-Dry of Tampa prides itself on it's superior hot carbonated extraction cleaning service. It's so good at removing dirt and soil from your carpet that we only use 1/5 the cleaning solution that other steam cleaners use. That means less moisture goes into your carpet and it dries in just a few hours not days. Did I mention that most of our products are green certified. 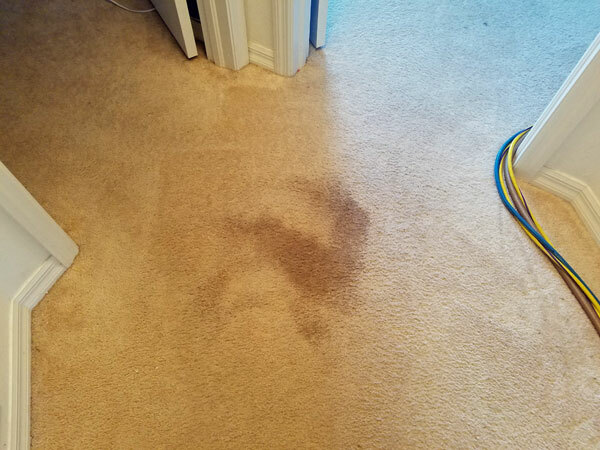 The before and after pictures were taken during a carpet stain removal job in Tampa FL. The home owner had a few dogs that were left home with a pet sitting service that forgot to come let the dogs out. Crazy I know. The results were some pretty heavy pet urine stains in the carpet. Thank goodness he called us. We were able to remove the pet urine stains and get his carpet back on track.